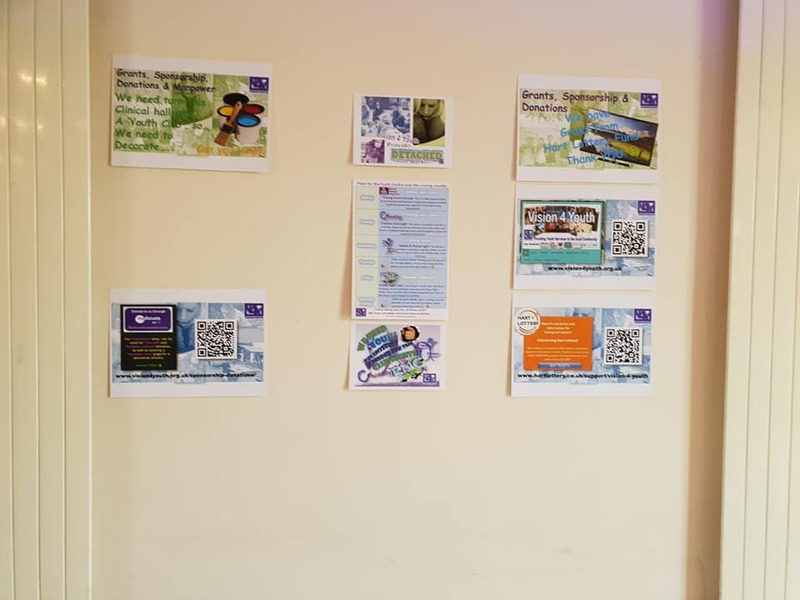 Vision 4 Youth - What's New? 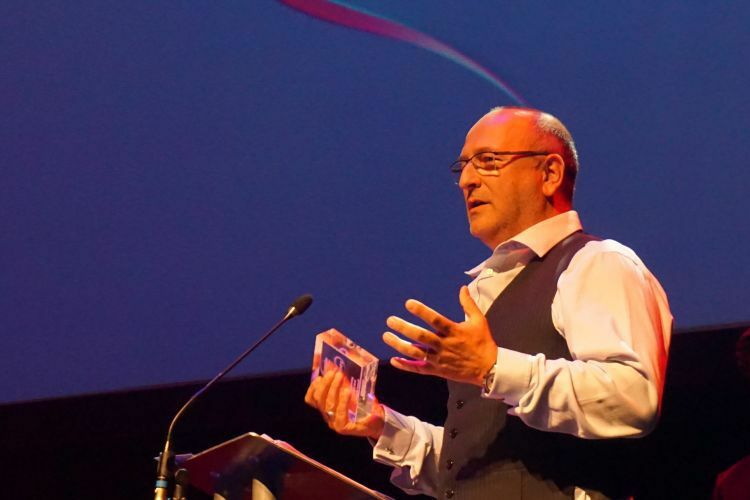 Check back here regularly to find out what's going on at Vision 4 Youth. 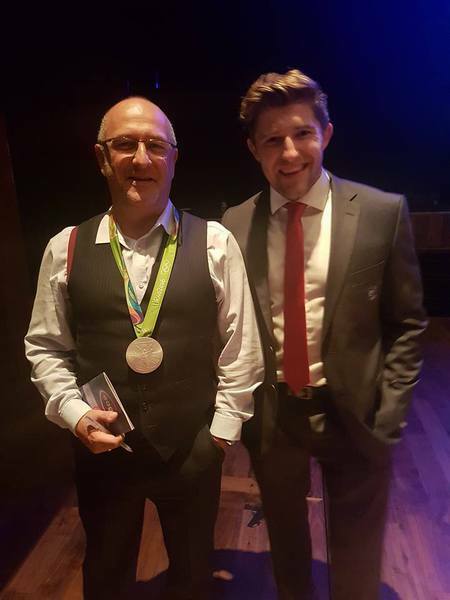 A big Thank you Tony and Rob from the team & trustees at Vision 4 Youth and the community of Yateley for raising over £500. Tony and Rob completed a 2-day ‘historic’ walk from Yateley to Winchester. We are pleased to announce that V4Y will open the Youth Suite on Wednesdays from September to run a Health & Fitness night. The first class to open will be a boxercise class. In order to do this, we are recruiting for a staff member to lead the session, volunteers to help run the session, and young people to come along! If any of these interest you, please get in touch now. 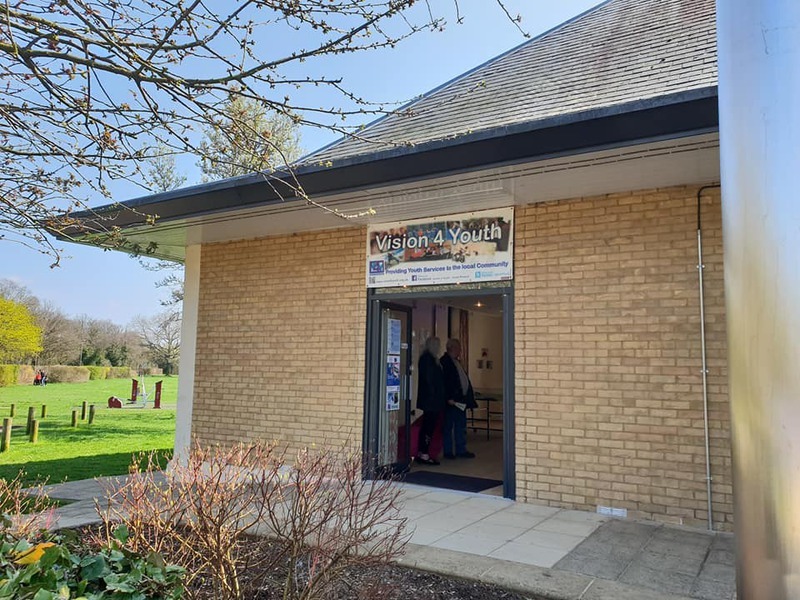 The Youth suite will be open during Yateley May Fayre this Bank Holiday Monday. We will be serving refreshments and snacks. 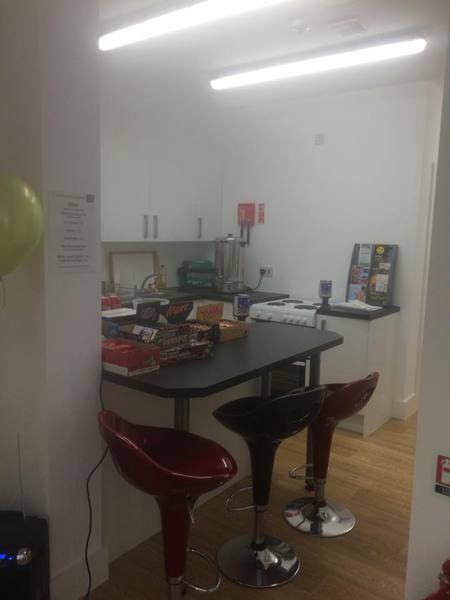 And there will be games, live music and somewhere to sit and have a cuppa. You will also be able to charge your phone/tablet if you buy a drink etc or make a donation. See you on Monday peeps... it's good weather too! ? We have been asking for this dedicated youth building for over 30 years…. Yes 30! 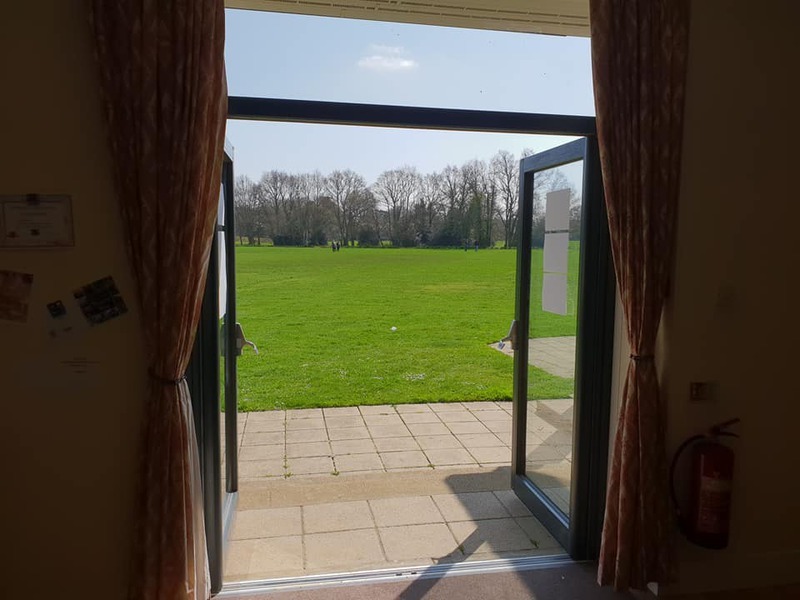 And we have been working hard with the local council for several years to find a suitable venue and raise funds to remodel the building we settled on (The Tythings in Yateley). We have been running Friday Night Club (FNC) on a Friday night for about 18 years, which we will continue to do. And recently started detached work on Wednesdays and Thursday (which we intend to grow). The plan over the next 6 months to a year; is to run a ‘Creative night’ on a Tuesday evening. This will be a members club with a small fee, where we will run activities around Art, Music and Drama. Including producing music, putting together a band and using sound equipment. Wednesday night with be ‘Health & Fitness night', This will also be a members club with a small fee, which will focus on Sport, Fitness, Health body, mind and diet. Etc. Monday & Thursday nights are going to have another focus, but they are yet to be finalised. And during the day, another Youth organisation is planning run sessions in the building, but this is also yet to be finalised. 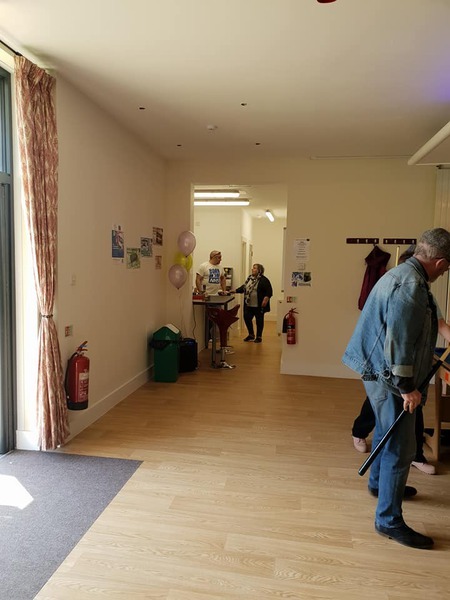 We are very excited about opening this dedicated Youth centre, and a looking for new volunteers, Team leader Youth workers and sponsorship, donations, and support. And to all those who have raised funds through sponsored runs, parties and sales etc. Vision 4 Youth would like to wish you all a very Happy Christmas and best wishes for a great 2018! Exciting times ahead of us in 2018, with the ‘new’ dedicated youth suite. Consequently, we will be undertaking a massive recruitment drive for more Staff & volunteers to run more ‘club’ nights and youth services. So huge thanks to all of our Staff & Volunteers for the work and precious time they have donated to us this year. Without all of their hard work and commitment, we would not be able to run. Also…… many thanks to you, our community, for your support this year and the years ahead! Happy Christmas & New year from the Staff, Volunteers and Trustees of Vison 4 Youth. The building works for the new dedicated Youth Centre are coming along well. ..... Exciting stuff. ? Watch this space! A big thank you to Mark & Sophie and the Team at the Dog & Partride in Yateley for their sponsorship of Vision for Youth. This money will go a long way to helping to support young people in our area. THANK YOU ? For more information on how to Donate or sponsor us the logo below. C & A Consulting have taken up one of V4Y sponsorship packages. Which will go towards funding one of our detached Youth workers. C & A Consulting are a company of Consulting Engineers who specialises in providing advice to optimise the development potential of land for residential & commercial Developers. Let me start by saying, most of them are not. We had 50+ ‘social youths’ at our Youth club last Friday night! But I have said this so many times on social media sites like Yateley Community (YC). 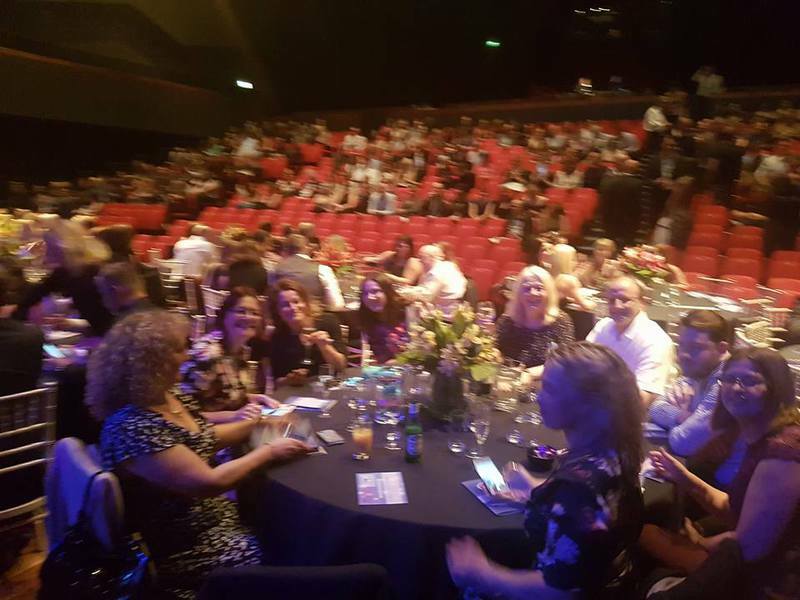 The antisocial behaviour that is being talked about in YC as I write this, is the primary reason the Yateley based youth charity Vision 4 Youth was set up….. over 15 years ago! But since then, the County Council removed ALL funding for youth work. And we have been left with a massive gap in services. 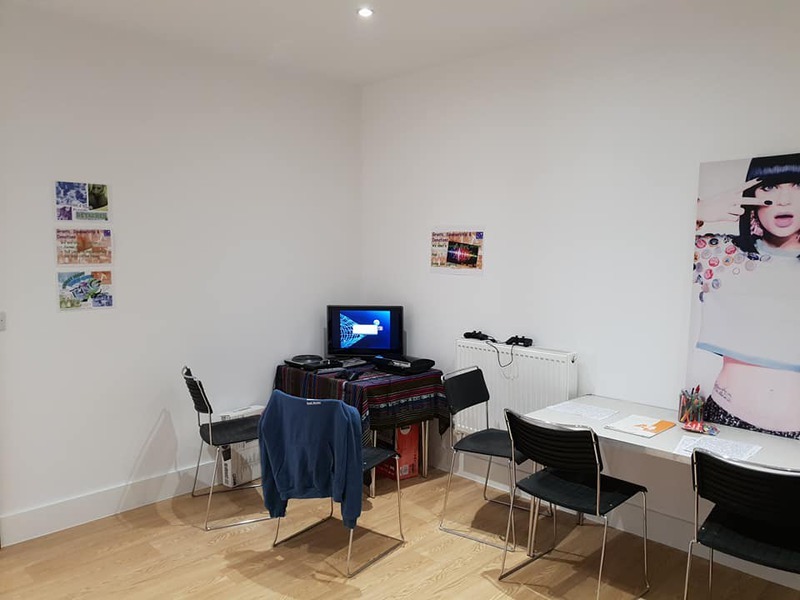 As you can imagine this is pretty much thankless work and we are always on the lookout for new volunteers and financial support, so please help us spread the word. We are just a bunch of volunteers running this, and it takes time and money to run it. We are constantly overlooked, in favour of more fashionable and popular charities. But as you can see with what is going on in Yateley and surrounding areas, we are much needed. We unable to do the work we want to do, because we don’t have the manpower or the money to do it. 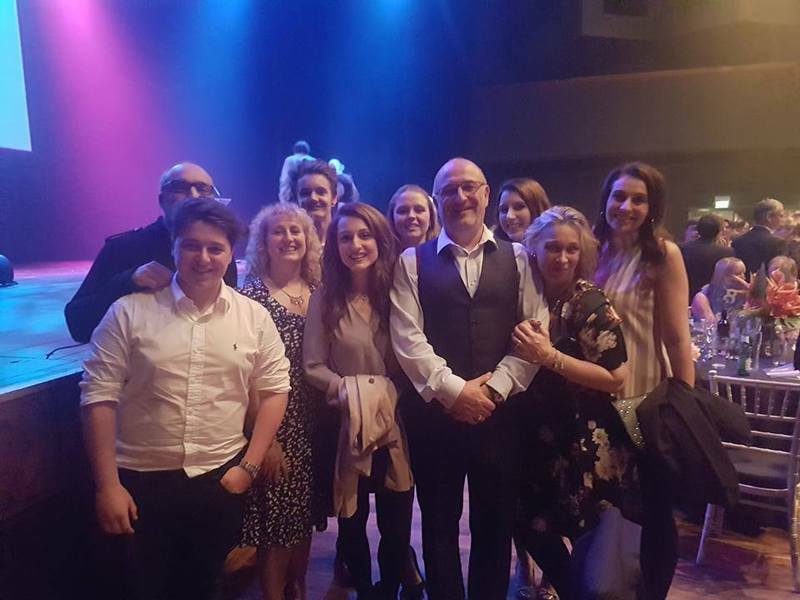 So, if you really are concerned about the “Youth” of Yateley; then Volunteer with us, Sponsor us as a business, Do charity run etc, Be a regular giver, Join our management team. FYI - The Council are going to be delivering a new youth centre early next year and this will be available to all youth agencies as a local base from which to work with young people - not just Vision 4 Youth but all the groups involved in supporting young people. 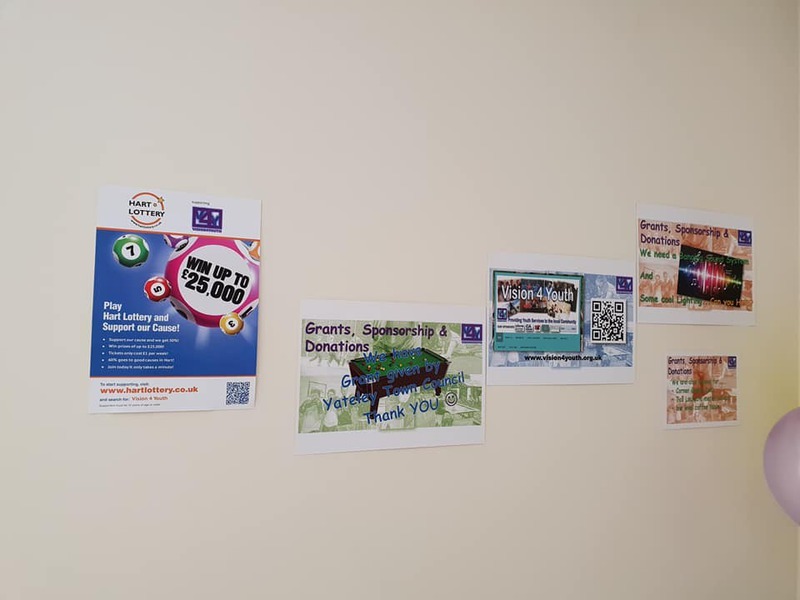 You can read more about our work here or on our Facebook page here https://www.facebook.com/Vision4youthPage/. 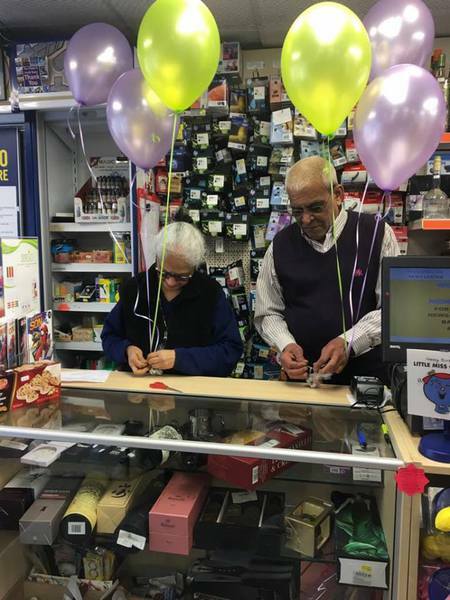 A massive thank you to Yogesh Patel of Yateley ‘News Letter’ for the generous donation to Vision 4 youth. He jumped out of a plane to raise £475 for a local Youth Charity based in Yateley. 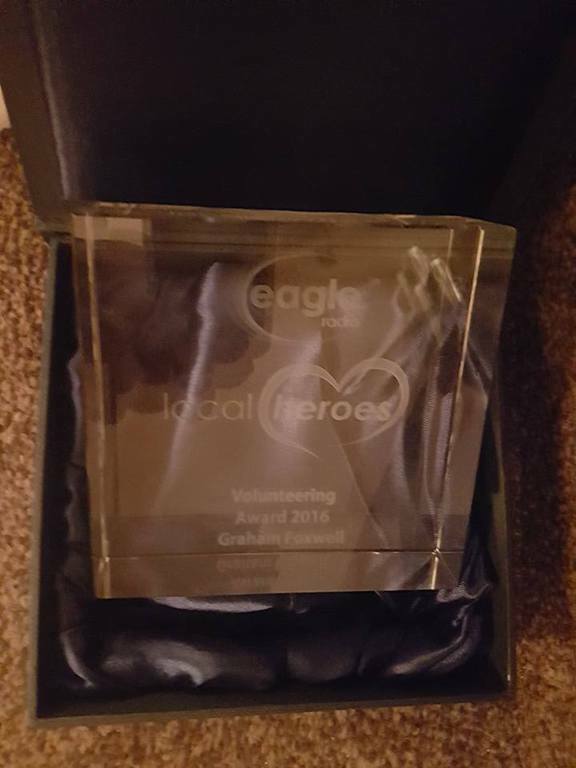 Well done to Vision 4 Youth for winning an award last night at the Eagle radio local hero's awards. I was very honored to recieve this award on behalf of all the volunteers and staff that have and continue to work with us. without whom, we would not be able to do the great work we do. So THANK YOU. The New Darby Green Youth Club....... opens tonight! From 7-9pm - Open to ages 11-18. P.S. Still looking for more volunteers to help run this! We have taken on 11 new volunteers since October 2015. Which will mean, we should be able to open a couple more clubs during the week. 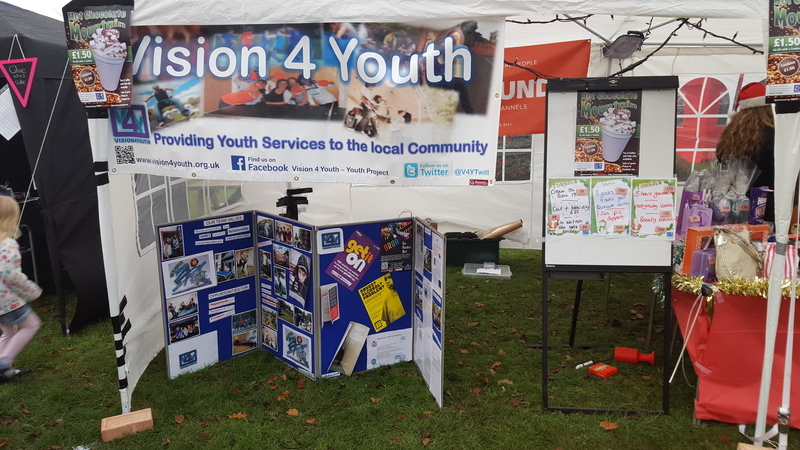 Vision 4 Youth had a successful day at the Yateley Christmas Market on Saturday. Massive thanks go out to all the volunteers that helped setup, work all day and take down in the end. 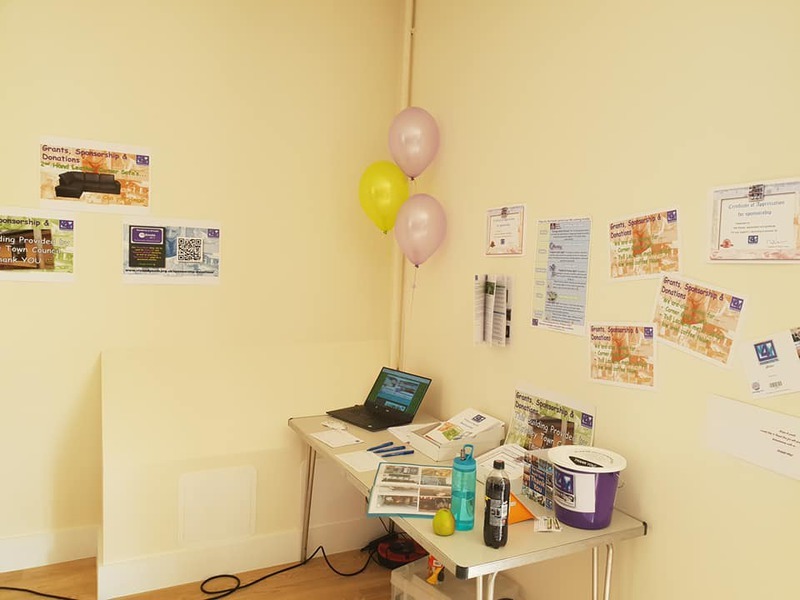 We raised nearly £300, which will go all towards providing Youth services and clubs in this community. Here is a list of those who have generously offered their time or who gave products to for our tombola. 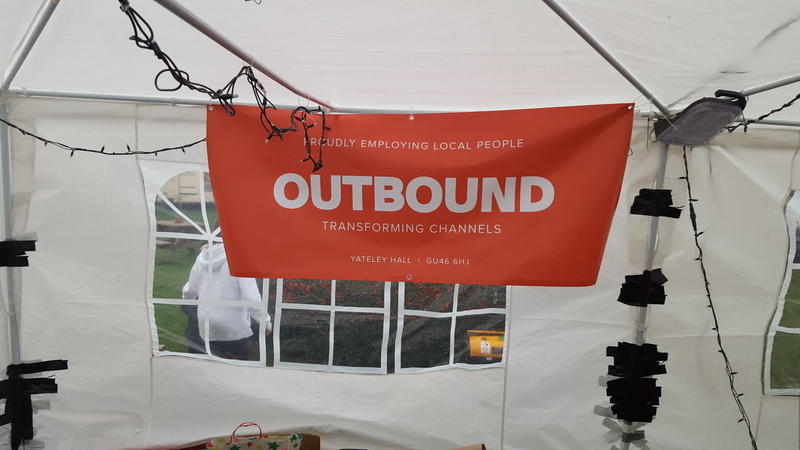 Thank you to Out-Bound for sponsoring this event and supplying our Urn. And Tony & Cindie for the Gazebo. ……..Sorry to any others I may have left out! 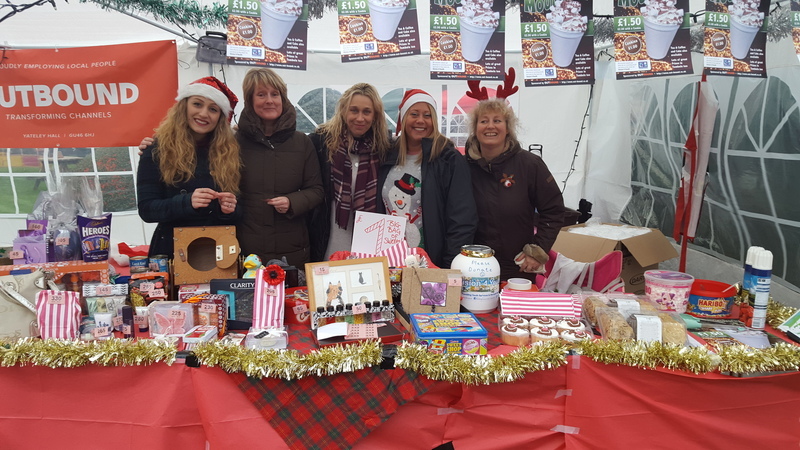 A big thanks to the Yateley Lions for putting on this fantastic event, and to those who came and supported our stall. Hope you liked our Hot Chocolates!! Big huge thanks go out to all at Sandhurst Joggers from myself, the staff, volunteers and trustees from Vision 4 Youth for your generous donation towards the work that we do for the young people of Yateley and surrounding areas. This donation will go towards our continued youth provision for which we get no funding except for grants and donation so will be a great help. Could you please also extend on our behalf our gratitude, to the other members of Sandhurst Joggers. With the new term starting, we (Vision 4 Youth) are on the recruitment path again. Most Volunteers work once every four weeks (some every other week). It’s a commitment of 2 and a bit hours on a Friday. John for all his help. Rita for 13 years of support. Mick for his many years of support. Sarah who has worked for so many years to support V4Y and young people in Yateley. What a huge success the Vision 4 Youth two weeks of summer club has been. There have been well over 100 young people through our doors. And a whole load of games & activities. 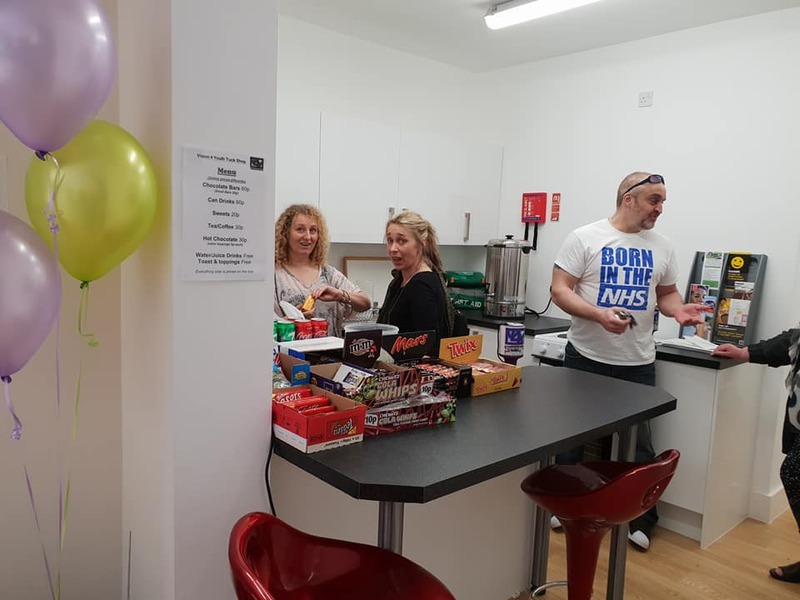 A massive thank you to all our Youth workers, and a particular thank you to the wonderful hard working Sarah Goldring for planning & running it. Also, thank you to Yateley & Darby Green councils for their support and letting us use their facilities. The Friday Night Club FNC, opens its doors again this coming Friday 4th. 7-9pm. For ages 11-18. Step by step, are running an information and advice drop-in ‘Youth Aims’ service every Friday from 5pm – 6pm from the Youth Suite. 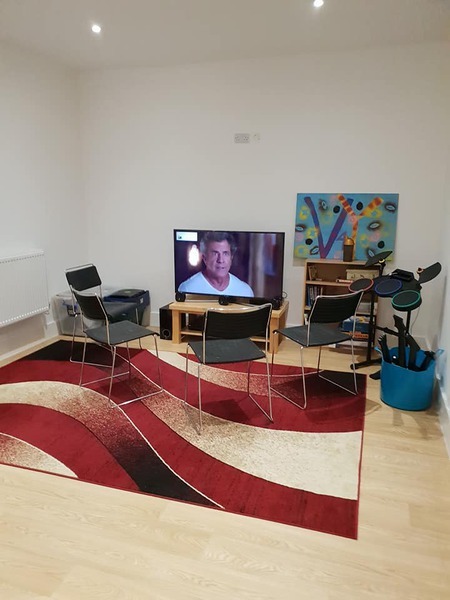 They are able to provide a full range of information and advice including, housing, benefits, careers, education, drug and alcohol, relationships and sexual health and also can give mentoring support and family mediation. We can refer young people into this service as simply as asking them to arrive earlier on a Friday night! 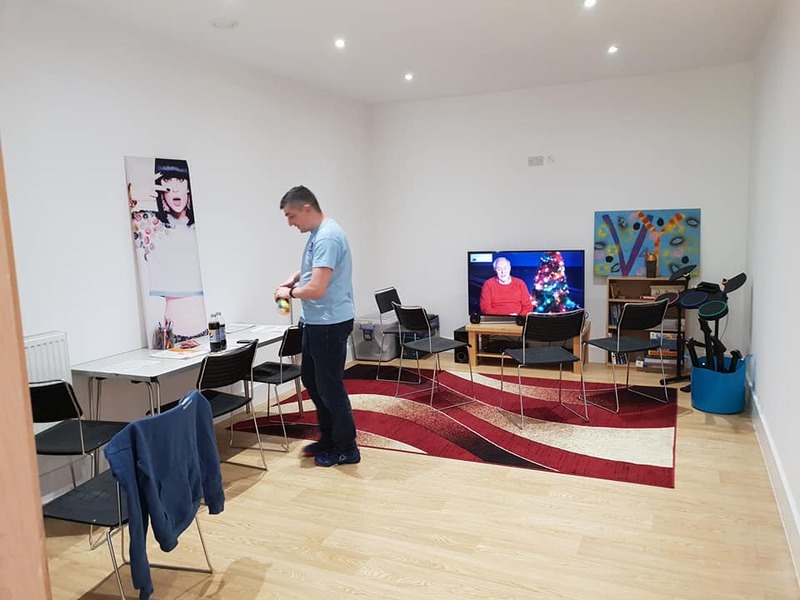 The lady running the group is Stacey Jardine and she will also be joined soon and eventually alternating weeks with, Dean who is the LGBT (lesbian, Gay, Bisexual & Transgender) worker at Step by Step. This is very exciting as this has been an identified need in Yateley for some time. We also have the Young Carers group. This is a club specifically for young people who are caring for a parent or sibling etc. The purpose of the club is to directly support the young person, and give them some time away from their caring role. 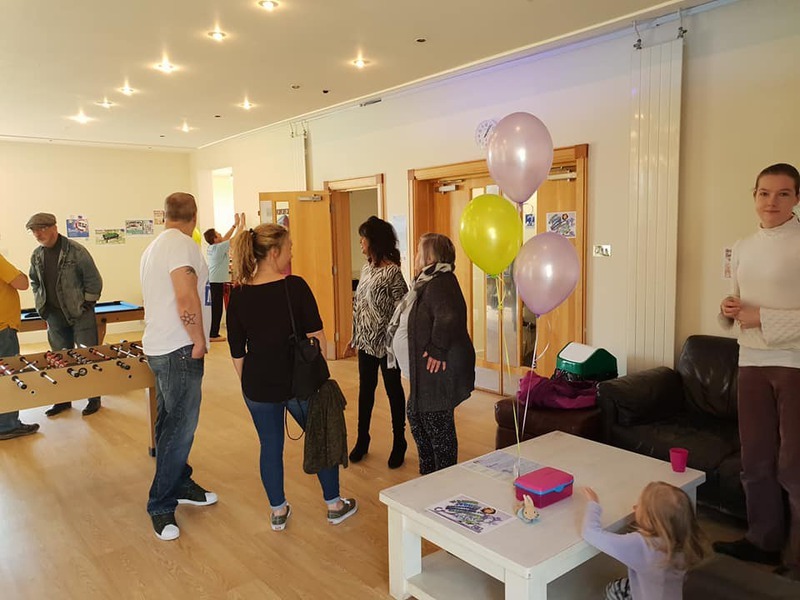 It’s also a time to give a chance for young carers in the area to meet others who care for a family member, and also to look at wider support for the family etc. P.S. They are looking for more volunteers at this group, so if you or anyone you know might be interested, please get in touch. And you may have noticed there is a detached team, who are Caryn & Louise on a Thursday night and Georgina and Caryn on a Friday night. 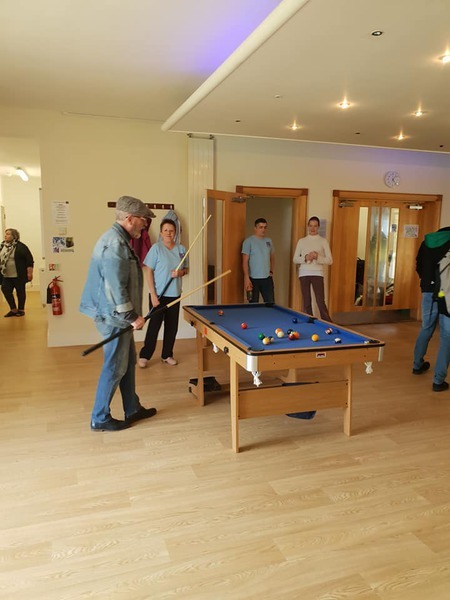 The role of the detached team is to walk around Yateley, Darby Green & Blackwater engaging with young people, especially those who wouldn’t normally come to a youth club. It is about building relationships on the streets, identifying need, referring onto other agencies and hopefully encouraging them into the clubs. Another role is also to go to known anti-social behaviour hot spots to try and engage positively with young people. This is currently being managed by The Gaming Zone in Farnborough, but working very closely with us. 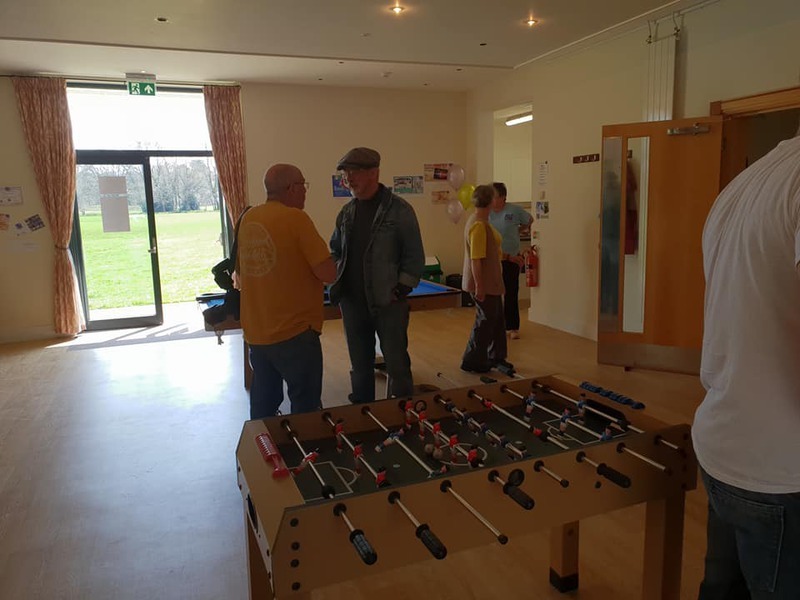 In conjunction with Safer North Hampshire and Aldershot Football Club, Soccer at Six, or Football Fridays as we called it, will be returning to Yateley this year from May. It will be running from 6pm – 7pm before the club starts and we would love to be able to support them with a volunteer, if you fancy this please let me know or maybe you know someone who would like to do this, let us know. This was free last year as Sarah got a grant (which went to Fruition) to pay for it. 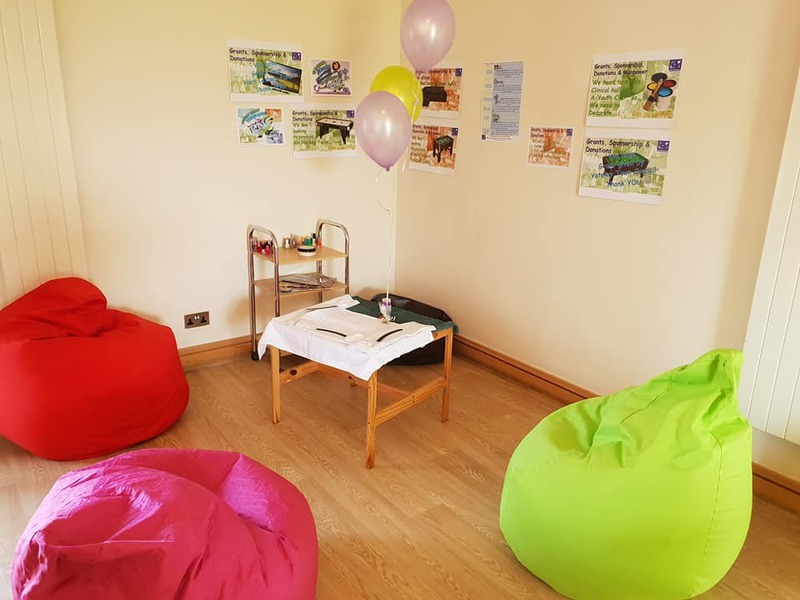 But this year each young person will need to pay £3 per session, but we will have special passes that we can give to a young person that we think might not be able to pay or are ‘harder to reach’. We will have more information when I have it. This year we are planning to have some kind of info and advice area, a music area, a tuck-shop and maybe a middle area with hay bales to sit on. However, we need more volunteers to help out with this, so if you are around for an hour or so, all day or just to help set-up or clear up at the end, let me know. 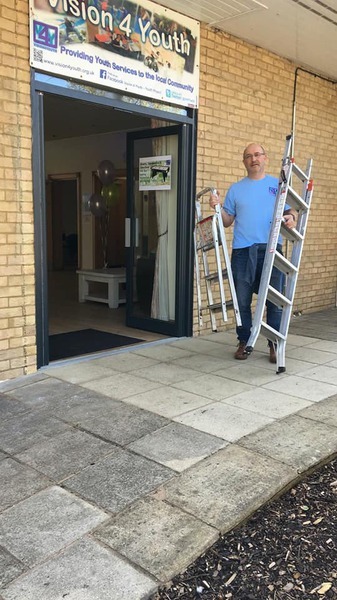 Friday Night Club is going from strength to strength, but we still need 1-2 more volunteers, and we still need to appoint another Team leader to work with Louise. We have had great support from the local council. And the local Police have already praised us for the work we are doing and the impact it has already had on lowering antisocial behaviour and the amount of kids roaming the streets on a Friday night. Click on image to see link on GETHampshire website. We are looking to recruit a 'PAID' Team Leader for our new Youth Club, based in Yateley. We are looking for an experience “Team Leader” who will be responsible for running the Friday Night Youth Club every Friday (during term time), including managing and supporting our valued volunteers. This will be a paid position, (salary yet to be decided) and will be a commitment of at least 3 hour per week. 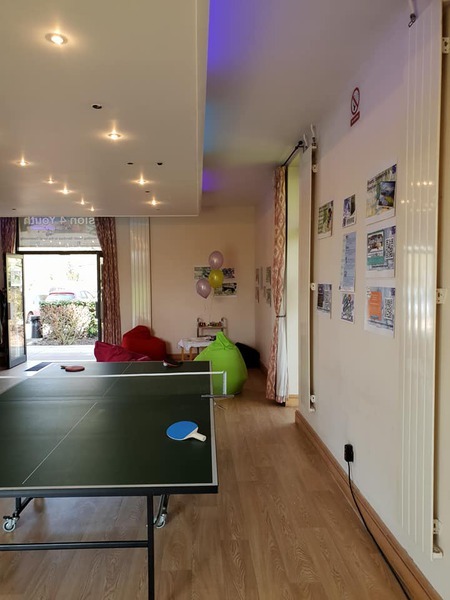 There has been a Youth Club based in the Youth suite for many years, managed by different organisations; Such as Yateley town council and more recently EDY Act. 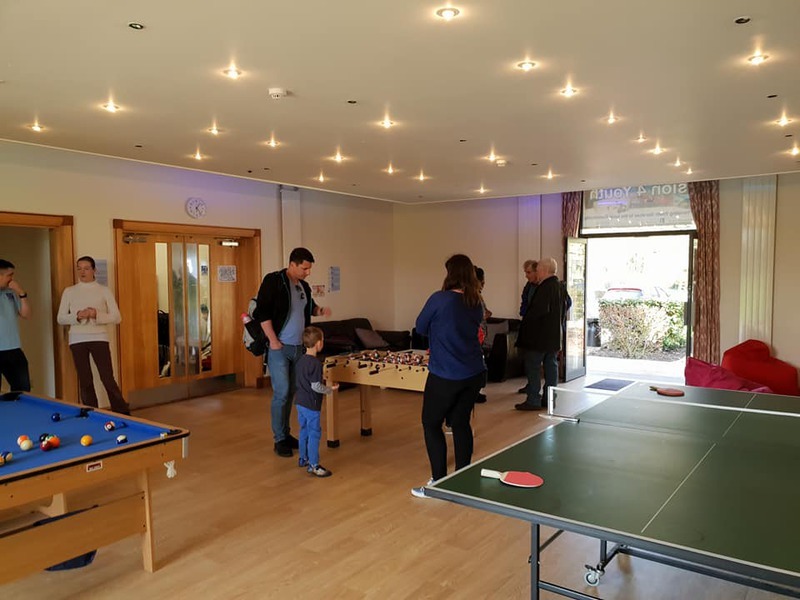 Due to the unfortunate closure of Fruition Youth and their clubs based in the centre of Yateley earlier this year, it was decided to re-open the Friday Night Youth Club in the Youth suite again. 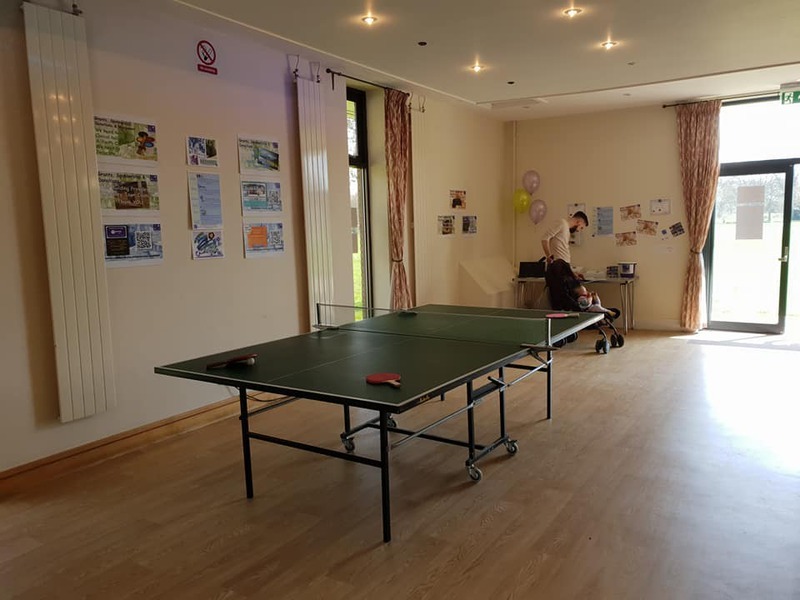 This will be run by volunteers from the local community, and will involve activities like table tennis, Football, Tennis, Basketball, Art activities, Film nights, along with a Tuck Shop serving hot & cold drinks and snacks. 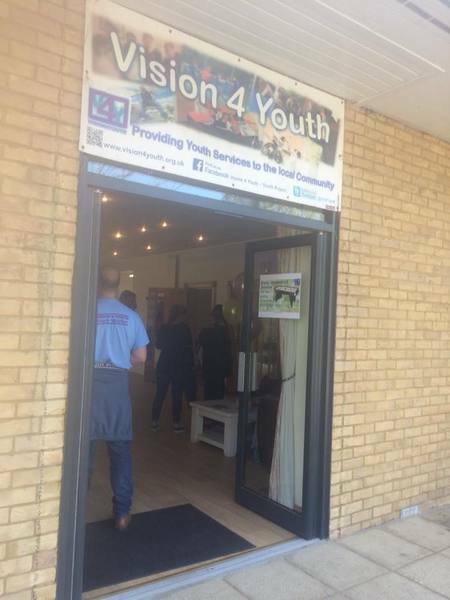 Vision 4 Youth to plan open a dedicated Youth Centre on the site of the current Youth Suite.